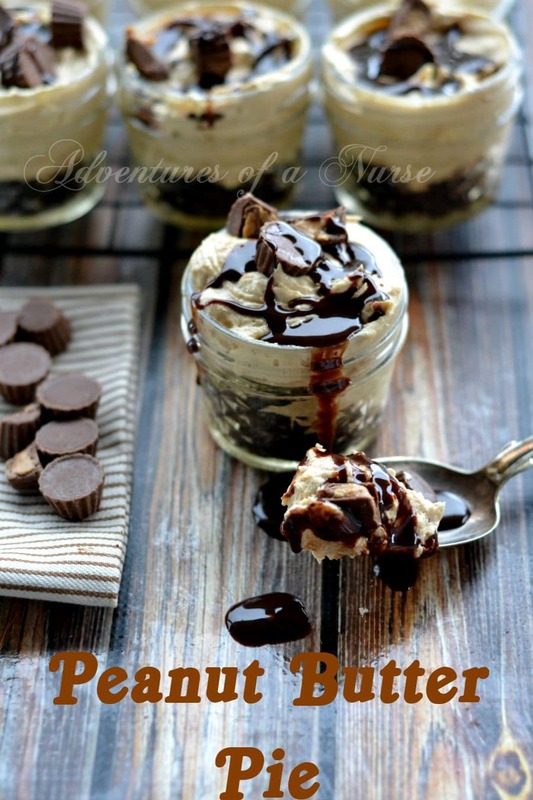 This is a delicious no bake treat you can give away as a gift in the mason jar. In a large bowl mix cream cheese and peanut butter until well combine. Fold in cool whip. 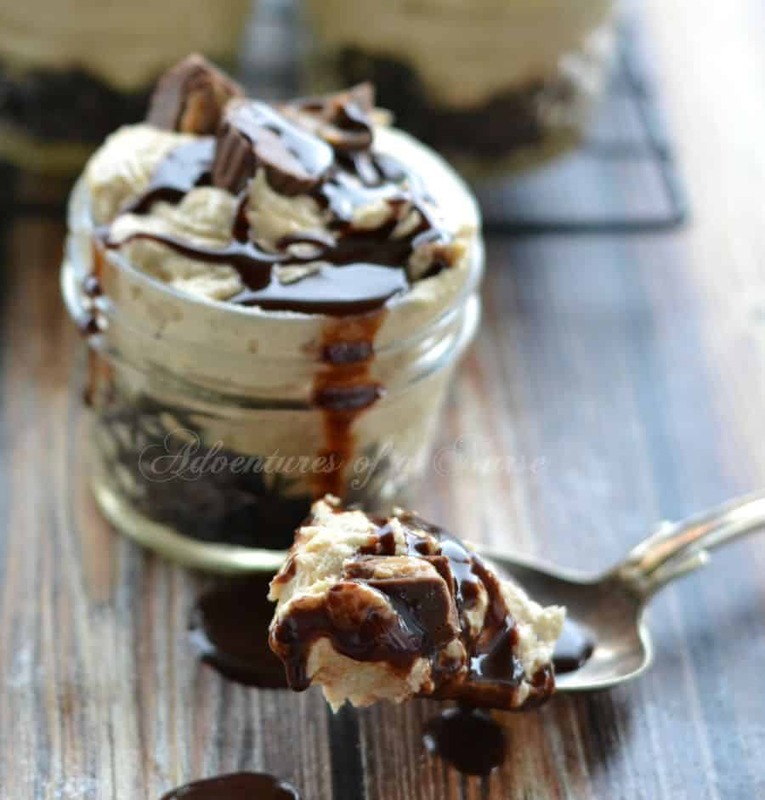 cover bottom of mason jar with crumbled oreos. 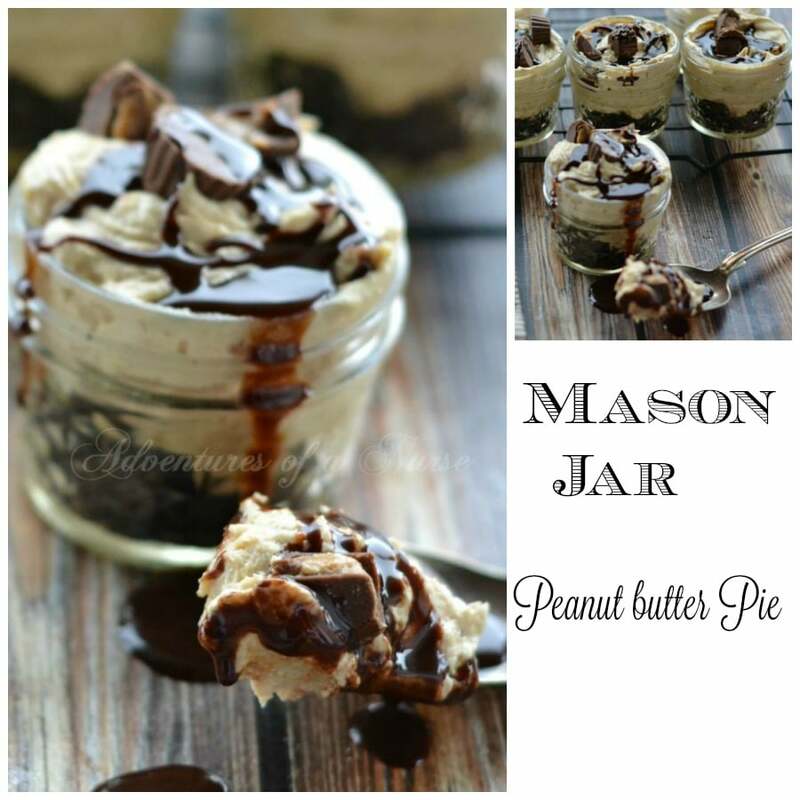 Fill jar with the peanut butter mix. 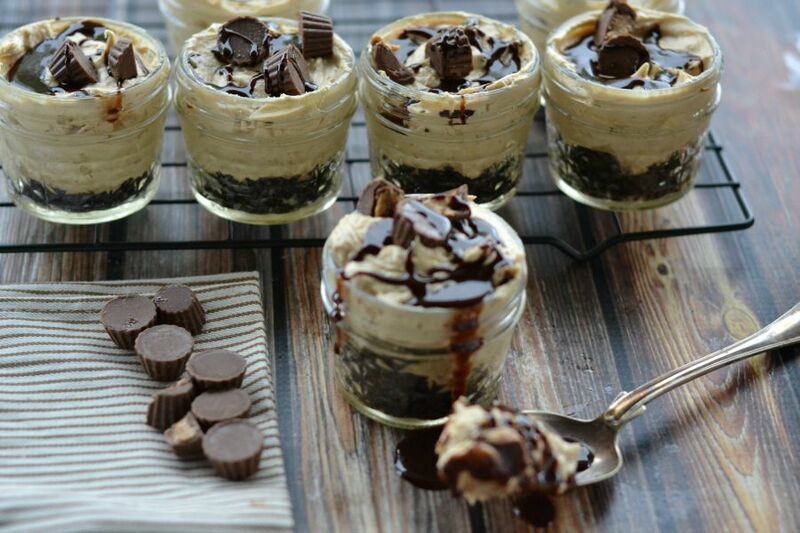 top with chocolate syrup and garnish with mini reeces.